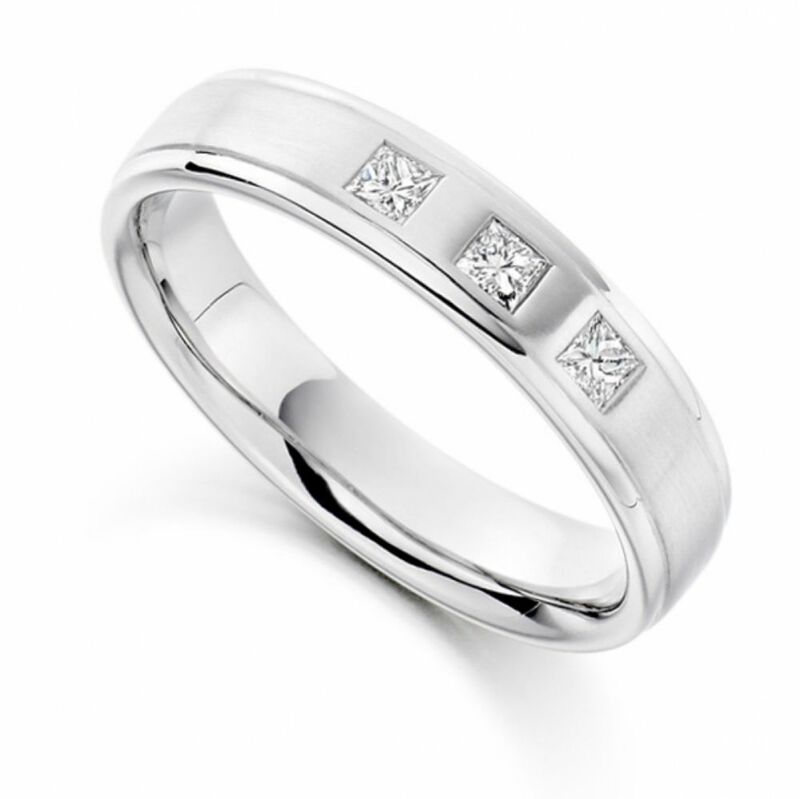 Mens wedding ring, set with 3 x princess cut diamonds, 0.22cts in total, flush set within a satin and mirror polished 5mm band. This Men's three Diamond set Wedding Ring makes a striking statement. This bold ring design is square flush set with a total of 0.22 carats of Princess cut Diamonds, which have been graded F Colour and VS1 Clarity prior to being expertly set. The wedding band is 5mm in width and is a comfortable flat court profile. The ring has a partial satin finish and is available in a choice of 18 Carat White, Rose or Yellow Gold, 950 Palladium or 950 Platinum finishes. 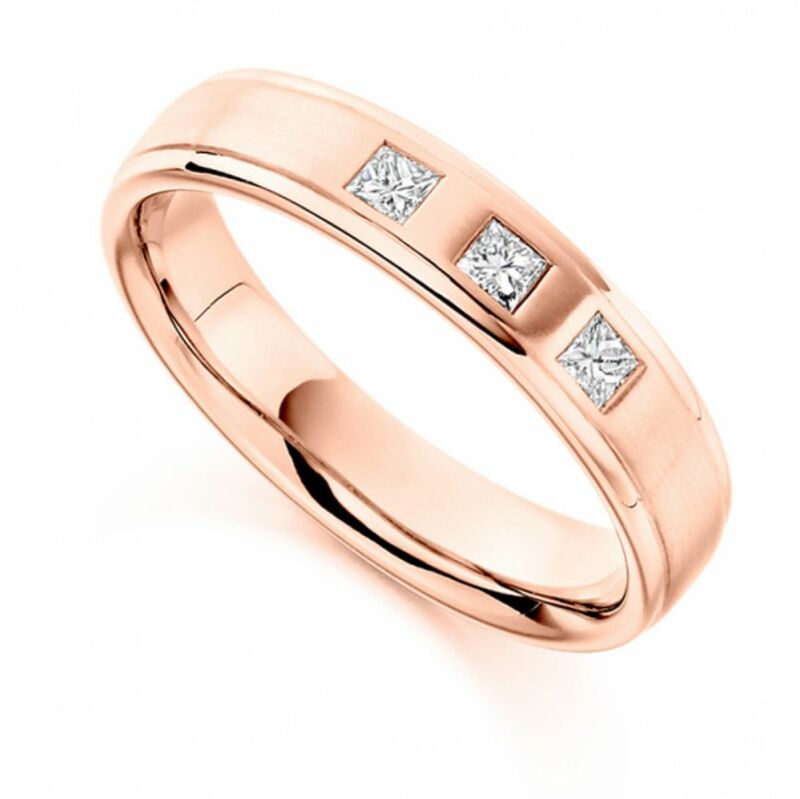 The Wedding Ring will arrive to you beautifully packaged and presented, ready for your special day. Please allow 4 weeks for delivery as this ring design is crafted to order.